After watching hundreds of his patients struggle to find a simple, natural way to stay healthy in his renowned New England practice -- patients drive from hours away to see him -- Dr. Inglis set out to create a proven, effective daily vitamin that eliminates the need to take a handful of pills each morning. Dr. Inglis spent years crafting the perfect blend of vitamins and herbal extracts to keep you healthy and happy. Dr. Inglis’ business partner is Andrew Blechman, an award-winning journalist and author of two nationally reviewed books. Andrew has been a patient of Dr. Inglis’ for many years and teamed up with him to create Dr. Schnuffie’s. In the past, Dr. Schnuffie’s Cold + Flu was a recipe Dr. Inglis hand wrote to his patients. It required purchasing as many as a dozen different vitamins and botanicals. 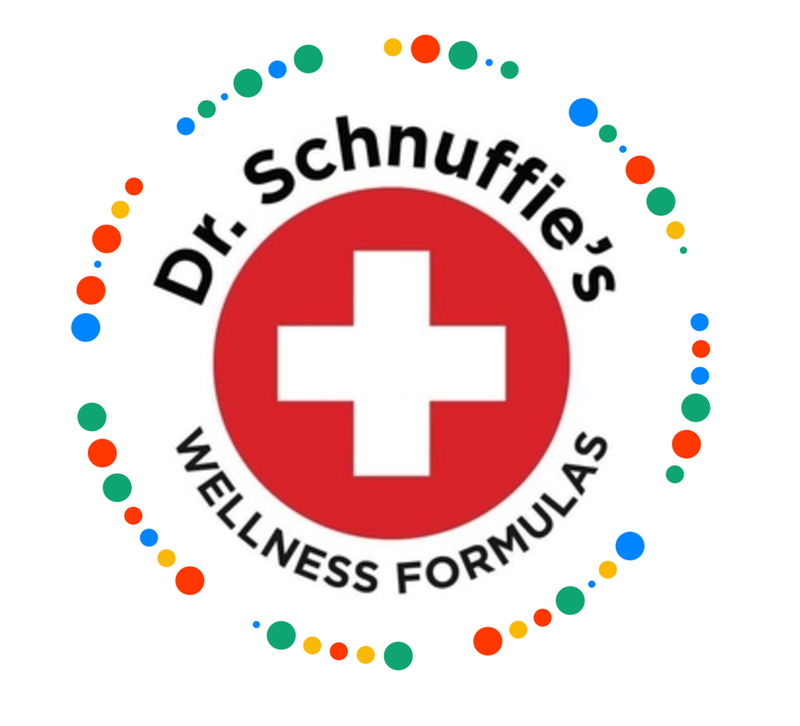 Andrew suggested that creating a single tablet would be far more convenient, particularly for travel … and Dr. Schnuffie’s Wellness Formulas was born. Dr. Schnuffie's is named for Andrew's daughter. The name was chosen (against all professional branding advice) because it is comforting, fun, and memorable. We are confident that you will love Dr. Schnuffie’s, which is why all purchases are backed by a full-refund guarantee, no questions asked. 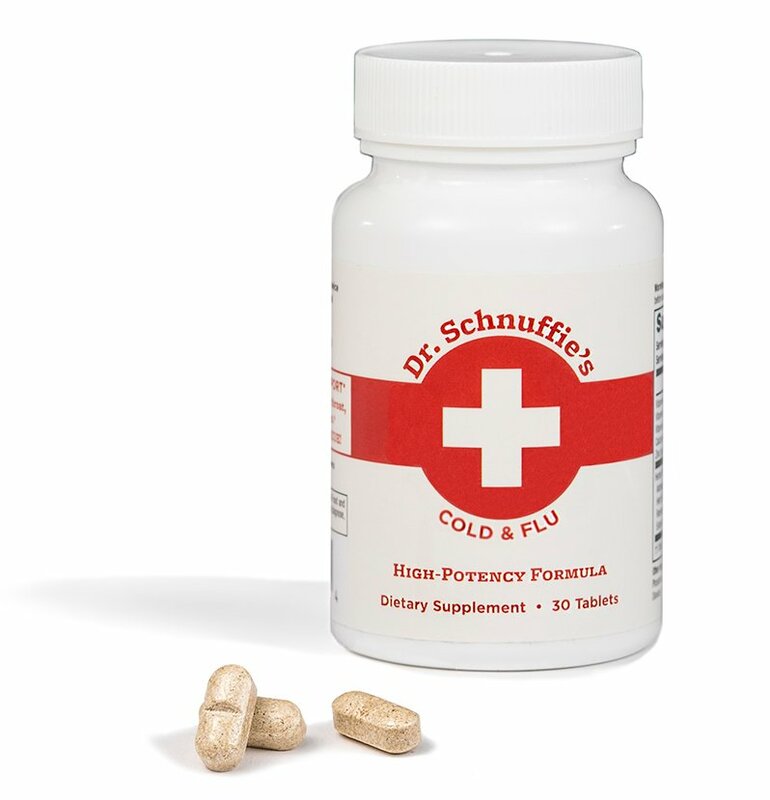 Please keep an eye out for additional products from Dr. Schnuffie’s Wellness Formulas — for sleep, healthy aging, and more!